A4 Cold Laminating Filmis alternative to thermal laminating film that require no heat to activate the adhesive. No warm-up time necessary. Similar to using standard adhesive tape to cover your document, cold lamination is perfect when the precision quality of a thermal heat laminator is not necessary. Or when the material you are using cannot withstand the heat of thermal lamination. A4 Cold lamination film preserves and protects documents. 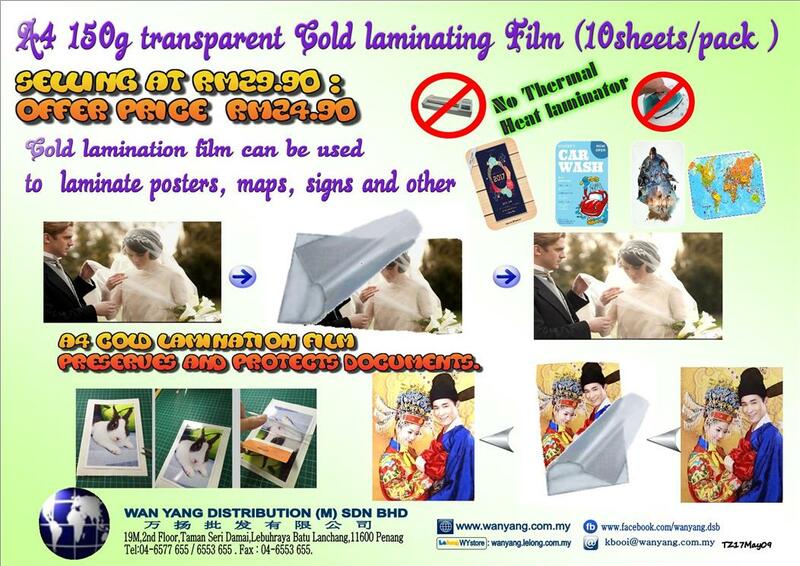 Cold lamination film can be used to laminate posters, maps, signs and other documents. · Heat Lamination machine is not required. · Good quality and glossy image output. · Protect the surface of document from scratch and water seepage.